This 1930s reproduction print looks difficult, but it's not. Its quickly pieced rows are made up of trapezoids. Match the pattern pieces to make hexagons magically appear. 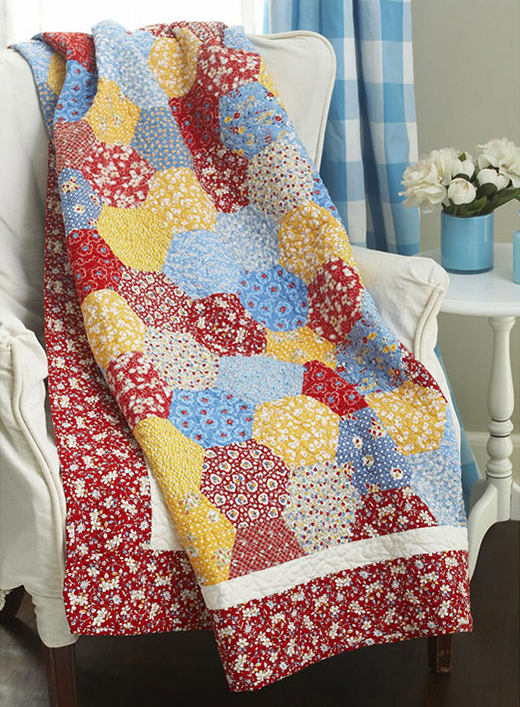 This Big On Tradition Quilt Designed by Mary Pepper, Machine Quilter: Nancy Sharr.